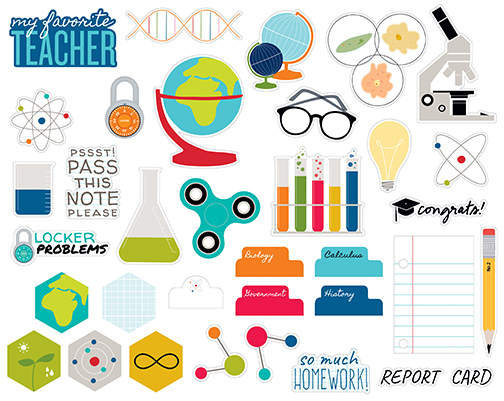 This package contains an assortment of School Icons that are sure to 'make the grade' on any of your Craft Projects. Part of the Pop Quiz Collection by Bella Blvd. Look for coordinating Cardstock Stickers and selected Designer Papers.